Are you experiencing baldness? If you are one of those who are experiencing this condition, you should not feel bad or helpless. Baldness is a condition that you can inherit. If you have observed that your grandpa, your dad or even your uncles are experiencing this before, you should be open to that possibility that you will also be going through such issue. That is how genes can be a contributor to this condition. If you are thinking about wearing a wig, you should also think of how inconvenient it could be especially if you are going to wear it the whole day. First, it can be detached anytime. Imagine yourself walking down the street and the wind blew hard. The next scenario can be both frustrating and embarrassing. 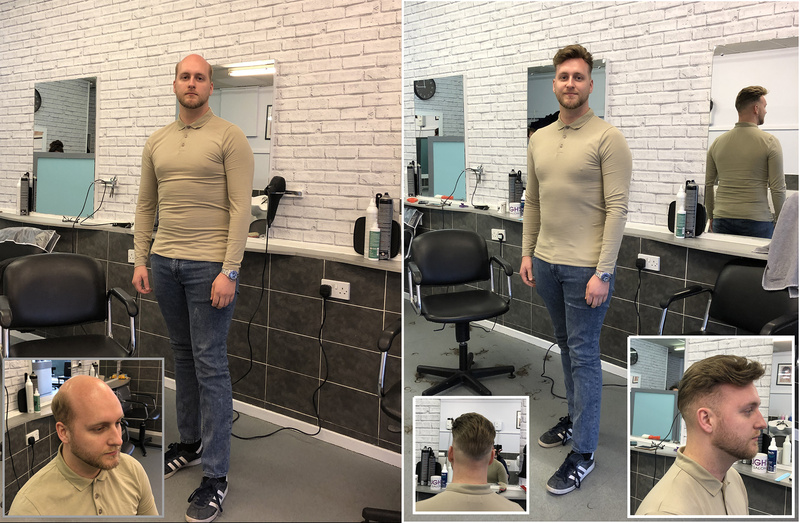 If you are going to try our hair replacement systems in Keighley, you do not have to worry about this problem because the hair will be attached to your head perfectly. Now, another comparison can be drawn between our hair replacement and the surgical method. If you are going to choose our service, you do not have to worry about the pain or any other effects that surgery may cause. We do not conduct operation. The process that we have it totally safe and you will get your hair secured to your head without any surgical method or any painful process being applied. Again, the process is simple and can be trusted. One of the things that you need to look into is the process. Our hair replacement systems in Keighley are totally transparent and you will see how every simple step is done. Part of the simple yet effective process in the hair replacement we offer is a chance for you to have that hair that is naturally fitting you. This is possible with the help of our hair specialist. When the hair is already attached, our expert staff will then be working on how the hair will fit you. This way, you can confidently walk down the street not worried about how you look. Choose to look great again. Visit us or give us a call and we will discuss this wonderful offer with you.